toward the purchase of the Electro Breeze air cleaner! Recently, we have been getting questions about washable electrostatic air filters and how they compare to the performance of the Electro Breeze electronic air cleaner. Remember, electrostatic is not the same as electronic. The Electro Breeze air cleaner is electronic and is continually charged by the flow of electricity. 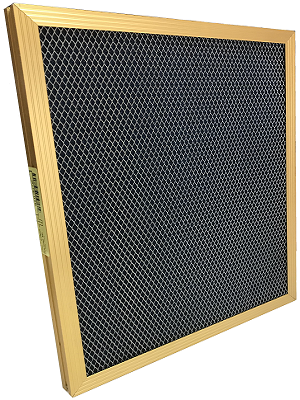 Electrostatic filters are charged once at the manufacturer or depend on the air flow to enhance their charge and are much less effective at air cleaning. 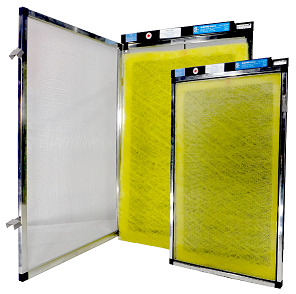 Some of the most popular washable electrostatic filters come in two styles, the Silver series and the Gold series. The first thing you may notice is the Filtration Efficiency at 94% or 82%. That sounds good, but the missing information is the size of the particle that this efficiency is referring to. Looking to the bottom line at the MERV rating, you can be pretty sure that this efficiency is referring to particles in the range of 3.0 micron and larger, since the MERV 8 rating indicates a low efficiency filter. See our MERV chart below. The next feature is Dust Holding Capacity, which means very little to homeowners since they are supposed to wash the filter once a month. Not much of a chance of the filter loading to capacity in one month, since most of the dust is being caught on the face of the filter. Dust particles at the size of 3.0 micron are considered large particles and will face-load the filter. 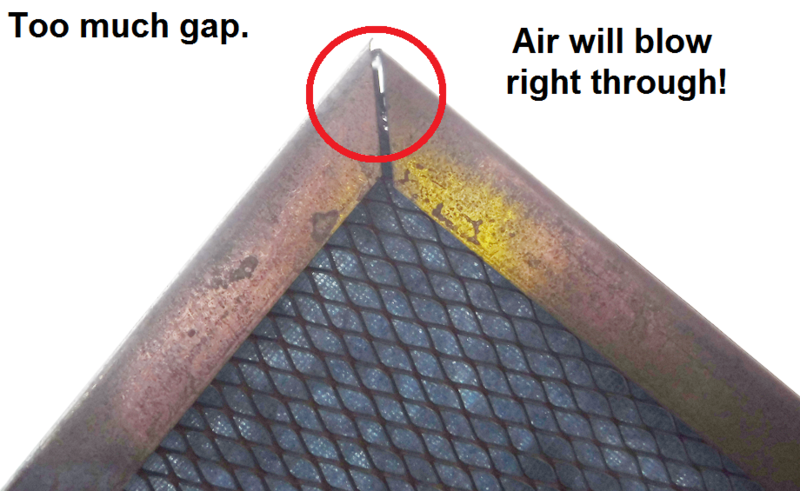 That means the dust is unlikely to reach the middle of the filter. A true electrostatic will load from the inside out. The Air Flow Resistance tests out at 0.12 for the 94% and 0.08 for the 82% (we assume this to be inches per water gauge). Again, there is missing information here since it doesn't mention how fast the air is flowing through the filter. The faster the air is flowing, the higher the resistance. This won't be good for your furnace or air conditioning unit if the air flow for the test is any slower than 300 fpm. Frame Quality is subjective and the unit that we purchased for review (Electra Silver) allows for more than 1/4" of movement of the filter pad inside the frame. 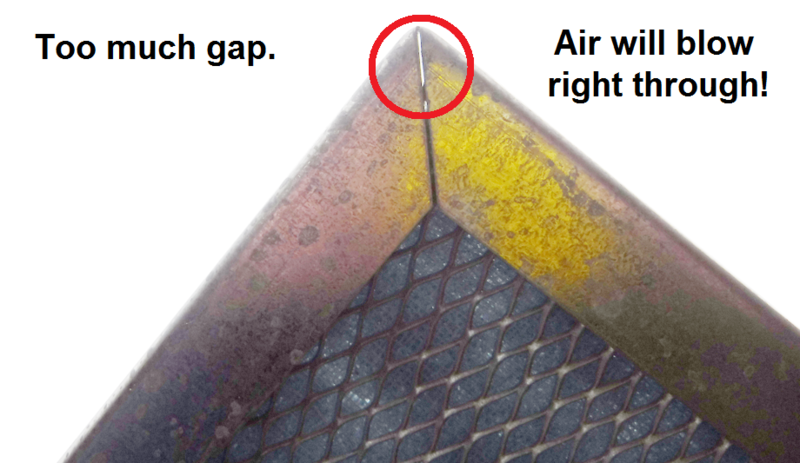 This brings into play the possibility of air by-pass around the edges of the filter pad inside the frame. Also, the frame corners have no overlap to seal the corners, so there will be some amount of by-pass to be considered. (Product Name) warrants its filter to be free from defects in material and workmanship, to the original purchaser, for the life of the unit in which it is installed. 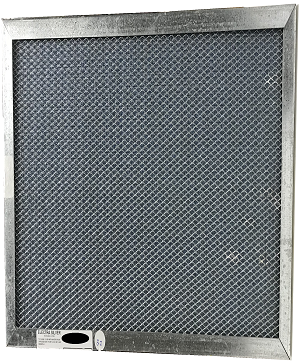 If an air filter is determined to be defective in materials or workmanship, it will be repaired or replaced without charge to the customer. 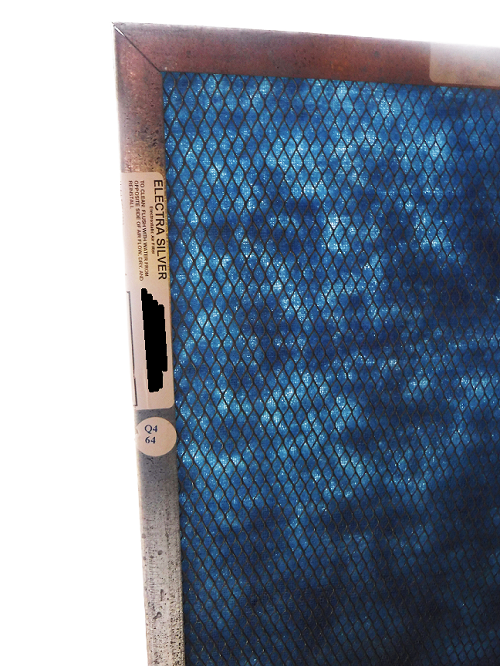 For claims under this warranty, defective filters should be returned to the place of purchase along with proof of purchase, an explanation of the defect, and shipping charges prepaid. This limited warranty covers materials and workmanship only and shall not apply to any air filter which has been modified or altered in any way, or which has been subject to misuse, excessive heat, exposure to ultraviolet, or improper installation. Customer disassembly of the filter will void this warranty. Other than this written warranty, there are no other warranties expressed, implied, or otherwise made regarding the merchantability or fitness of this product for a particular use. This warranty give you specific legal rights and you may have other legal rights which vary from state to state. We do recommend the Electro Breeze air cleaner that will clean your indoor air at an efficiency of 97% down to 0.3 microns (the breathable dust particles). The built-in carbon core will help to eliminate VOC's and other harmful gases and odors. The entire system is easy to install and maintain. Watch our video here to see how easy it is to install.